Today was my last day with Rob but after yesterdays efforts he was keen for climbing something a little more accessible and easier on the legs. 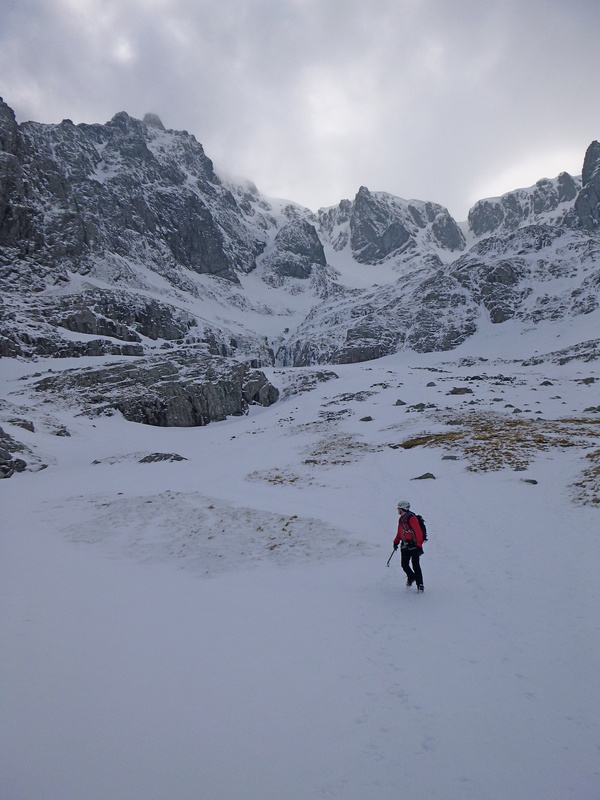 We made a beeline for Cousins Buttress, there were four teams ahead of us but most looked to be moving quite quickly. Harrison’s Climb Direct (IV,4) looked superb and with no queue by the time we reached the foot of the crag we decided this would be the route to go for. 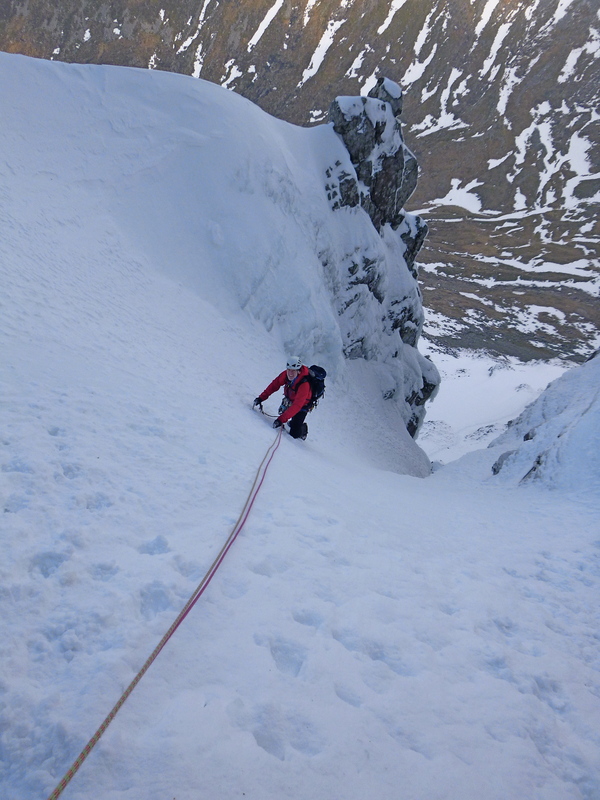 The climb itself was superb, lots of good quality ice, pretty stepped out and the first pitch was certainly no push over. I hadn’t done it before so it was nice to enjoy the climbing whilst guiding Rob – can you call this ‘work’?? I think I may have enjoying it just as much as Rob! 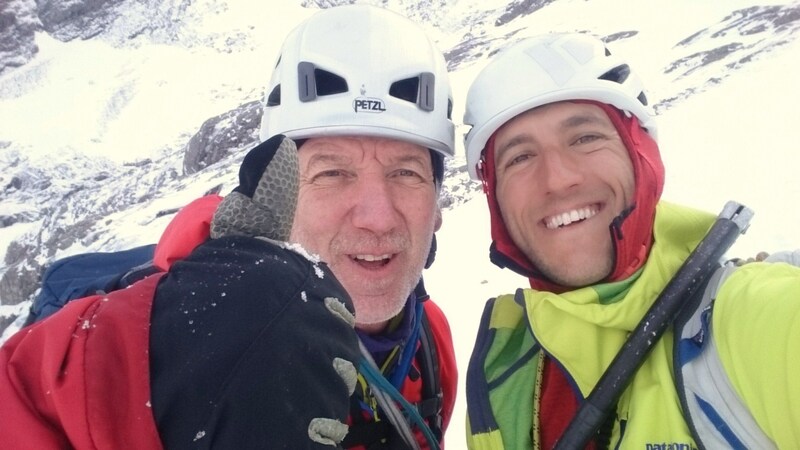 Dave and Andy climbed Tower Ridge and commented it was in brilliant condition, Lou and Blair were heading up into the Ciste – Pink Panther possibly? Other teams on Boomers, Raeburns Intermediate and Italian Climb. 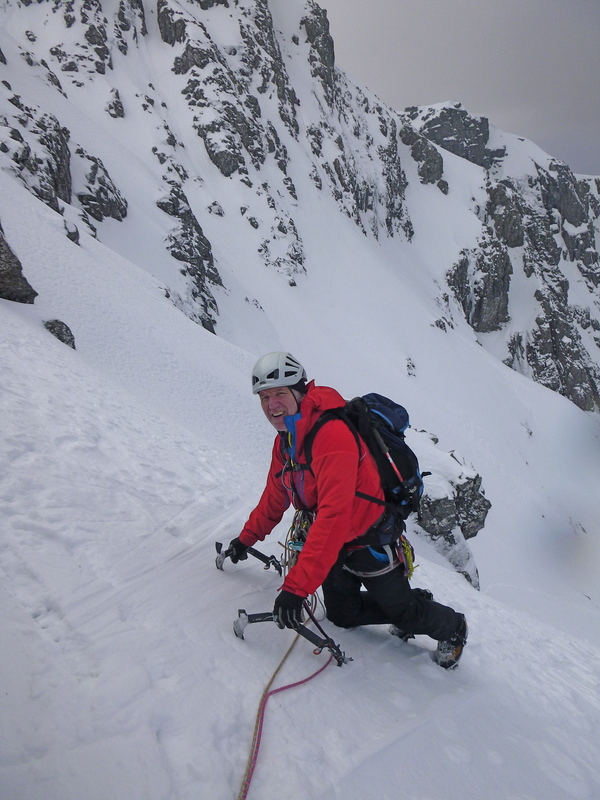 The last four days I have been working for Abacus Mountain Guides. 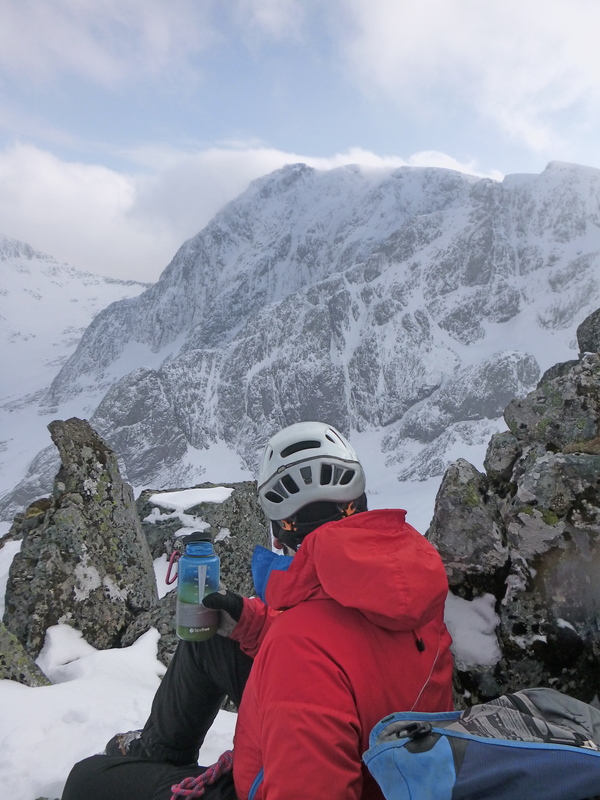 Happy to be almost there…..
A wee break before descending Ledge Route, the Ben in all its glory!